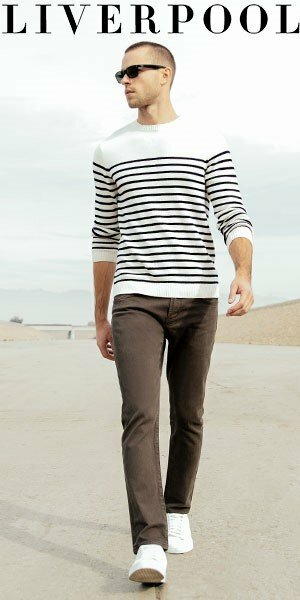 After saying yesterday how you rarely see male celebs wearing decent looking jeans, here comes Jude Law to prove me wrong. These photos taken at the Monaco Grand Prix last weekend show him wearing a pair of Number (N)ine Jeans. I haven’t come across this brand before (thanks to the guys at StyleForum for identifying them), but apparently it is a very popular Japanese label designed by a chap named Takahiro Miyashita. These jeans seem to be a part of the emerging trend out of Japan for grungy looking jeans.